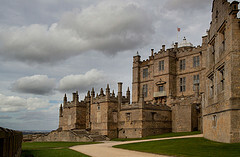 Founded in the 12th Century by the Peverel family, the grade 1 listed building that is Bolsover Castle is a hive of historical information and architectural brilliance. It consists of a large main keep area, which is part of the original fortress, inside which is the Little Castle. This Little Castle was begun in 1612 by Sir Charles Cavendish and later completed by his son. The interior of this uniquely located structure consists of tiers of splendid State Rooms, complete with fine murals and works of art. It is well worth spending some time wandering through these rooms to admire the ornately decorated fireplaces and the painted ceilings and walls. And make sure you keep an eye out for the Caesar paintings commissioned by Cavendish, depicting Roman gentry. Included in the admission price is an audio tour, which takes you around not just the Little Castle but the entire site. And there is plenty more to discover, such as the indoor Riding House, which showcases William Cavendish’s passion for horses. You can get interactive in the stables by taking a look at the exhibition or immersing yourself in the audio-visual treats of the Discovery Centre. The kids can get excited by trying on period costumes and seeing what it’s like to sit on a replica 17th Century saddle. After this, why not take a stroll around the walled garden and gaze into the fountain that lies at its centre. And if you work up an appetite then what better place to satisfy your hunger than in the large café overlooking the Riding House, which offers a selection of hot and cold meals and snacks. On your way out don’t forget to have a browse in the gift shop, which sells English Heritage goods ranging from jams and chutneys to stationery and collectables. However long you decide to spend at Bolsover Castle you will have a fun-filled and fascinating time. Opening Times: April-November 10am-5pm. 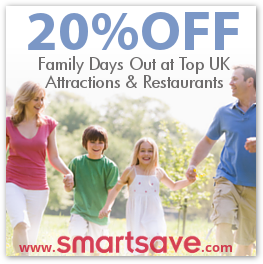 Please see website for November-March opening times.